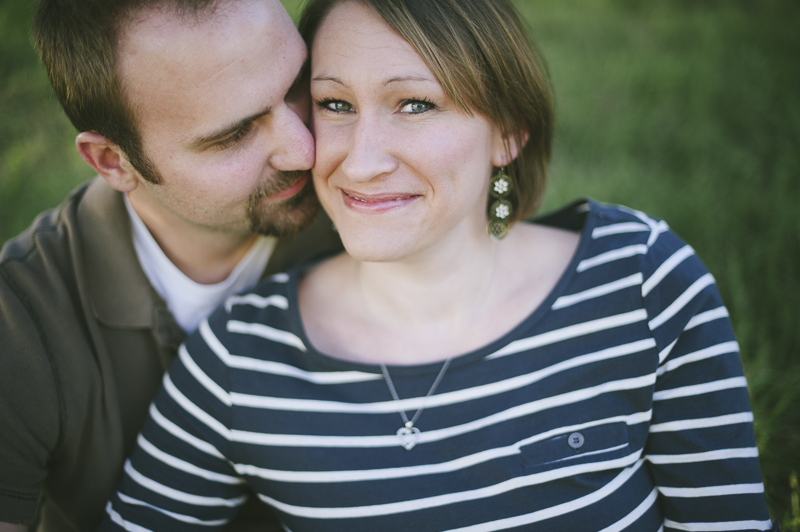 Recently, I've been able to photograph a ton more anniversary sessions for couples that just want to document their love! I LOVE that this is becoming more common! So often couples will focus on celebrating their relationship before they're married with engagement sessions, but I love it when they remember to take the time to stop and rejoice in the years that they've made it through! Marriage, although it's a wonderful thing, isn't always easy and I love capturing the maturity and experience in couples that have made it through some difficult first years. Sunil went to college with both Clint and Jenelle, and we were THRILLED when God brought them to Kansas City. We pounced on them right away and are so excited that they now live less than a mile from us! Yay for close friends! Jenelle is such a little rascal. Ok, maybe a BIG rascal! :) She loves to tease and have a good time, and brings such life to any conversation! More than anything, they love to explore new places and try new things together! They're always up for an adventure when they can be together. Jenelle grew up in the country in Ohio and she was so excited to do their photo shoot out in the field! It looked gorgeous at sunset! Clint and Jenelle, you know we love you guys! Thanks so much for being brave and allowing me to photograph you - finally! :) Can't wait for what God will do in the next 5 years of your marriage! Love you!